Magazines put out voluminous September issues for a reason, it is the ultimate month to either overhaul your wardrobe or simply inject it with an infusion of exciting new trends and pioneering new silhouettes. 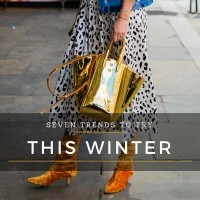 New trends are always so exciting since it’s a new opportunity to rediscover your personal style. 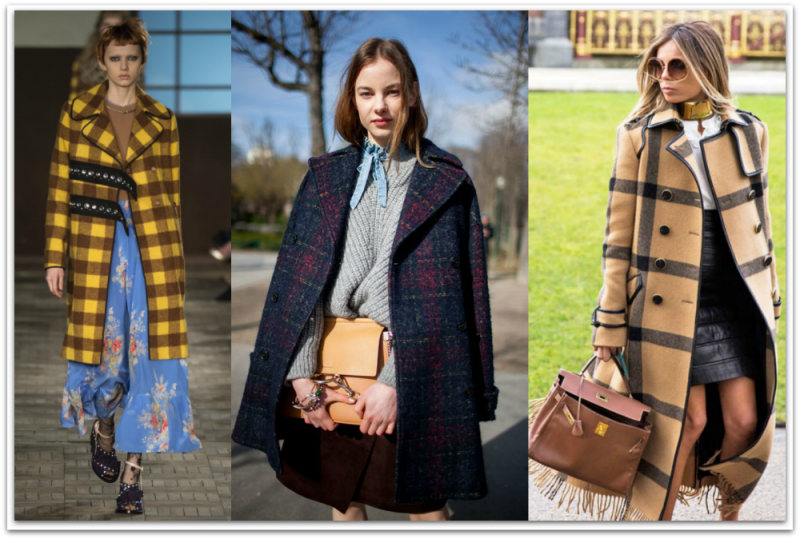 And as the leaves start to fall and a change in seasons start to come, feel the chill in the air as you sport the best that fall/winter fashion has to offer. Whether or not you’re ready, fall fashion will take over and it’s best to be prepared. Layering textures is what it’s going to be all about. 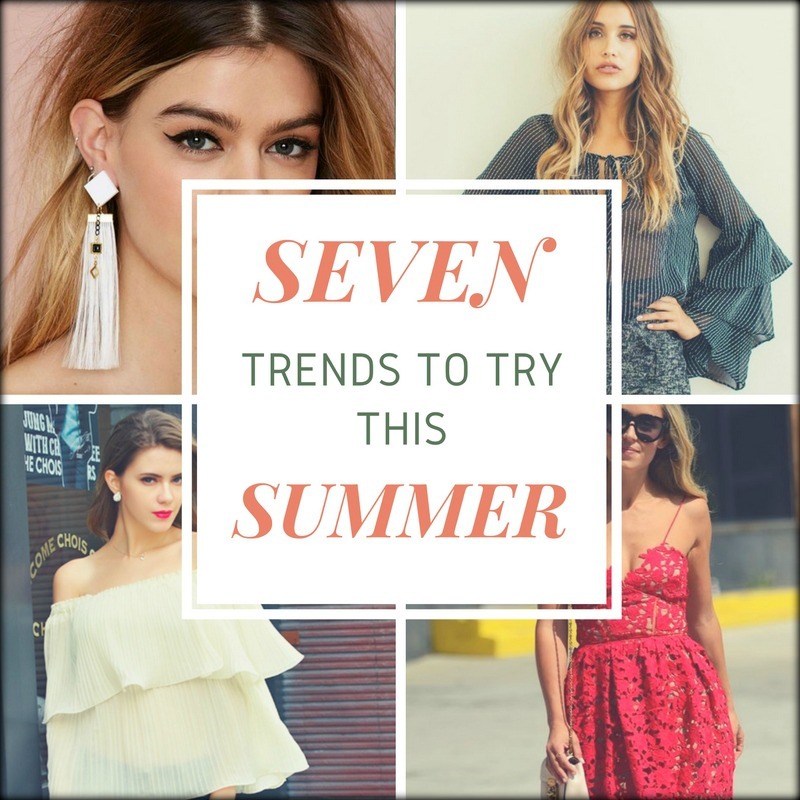 While you may miss those dreamy summer nights, these trends will give you something to be excited for. Crushed velvet dominated the Fall 2016 runways, and for good reason. This lush and rich fabric makes for the perfect fall/winter piece to give your wardrobe a much-needed boost of texture. Velvet dresses were a big winner on the runway, and you can expect velvet dresses to take over street style too. A velvet dress over tights and a pair of leather boots is oh-so-chic. The texture of velvet elevates your other fall/winter essentials like your leather moto jacket, wool scarf, or patterned tights, velvet dresses and jackets should be at the top of your fall/winter shopping list. Consider velvet frocks for your next fancy evening event, a little black dress in velvet are a great alternative for your upcoming season’s events or parties. September is back-to-school for some. While you may not actually be going back to hitting the books, you can definitely channel back-to-school style with a chic backpack. Popularized by the trend-setting Jenner sisters, leather backpacks have successfully transitioned from practical carryall to high-fashion style staple. From Gucci to Chanel, the formerly humble backpack is enjoying must-have status. A sleek leather backpack will be your ultimate fall/winter companion. Oscar de la Renta first showed a feminine dark floral dress with a turtleneck layered underneath. Since then, turtleneck layering has been spotted all over. Aside from being a great styling tip to transition some of your spring/summer dresses into fall, turtleneck layering is also a clever way to prevent your standard turtleneck from looking too basic. 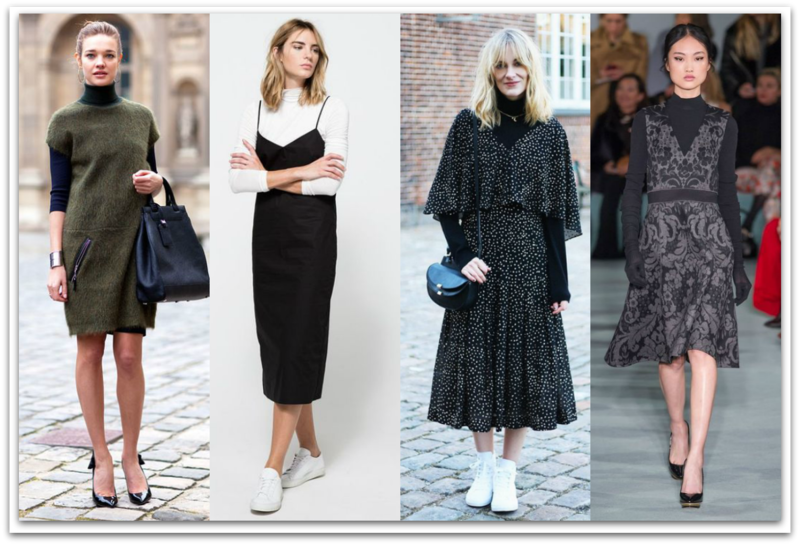 Layering turtlenecks underneath dresses gives your look a certain edge and a particular je ne sais quoi. Add on a statement necklace for maximum impact. For a fall/winter cover up with a retro feel and a lot of sartorial curb appeal, consider the capelet. 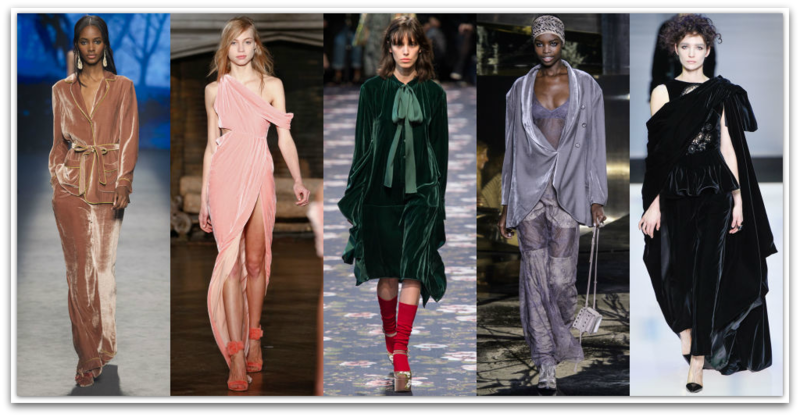 Not quite as voluminous as a full-on cape, capelets are most definitely wearable and will prove to be flattering to most women since it doesn’t cut you off at the waist but actually serves to drive attention toward your face. Pair your capelet with a wide brim hat or with a statement lip. 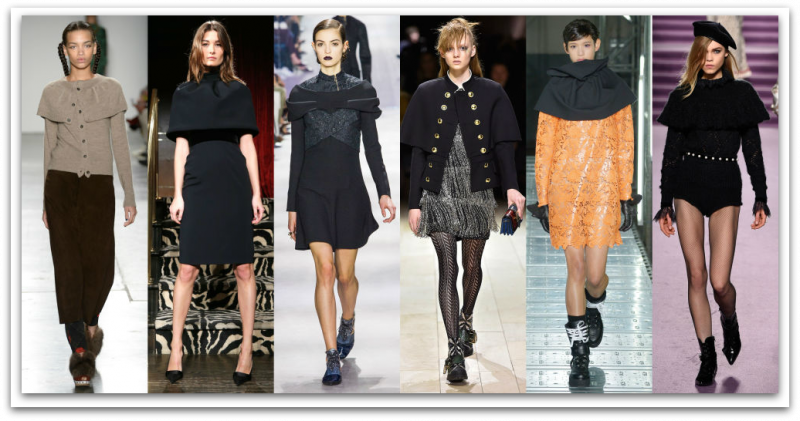 Capelets are also great to wear with short hemlines or knee-length skirts. From Altuzarra to Kate Spade, shearling jackets were all the rage at Fashion Week. 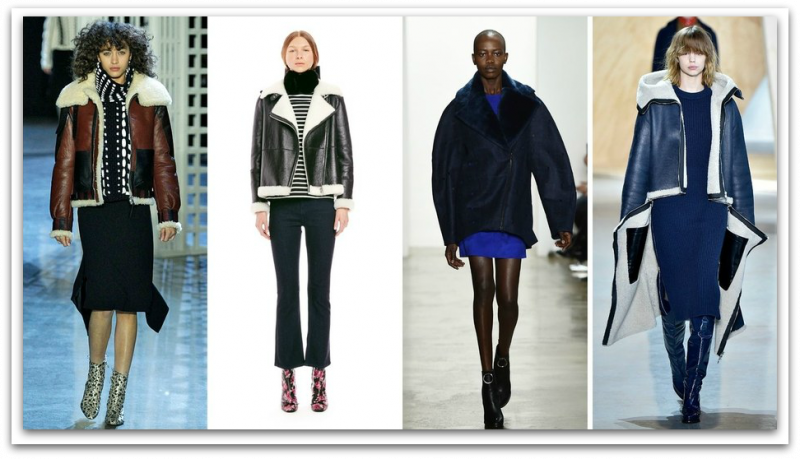 Different jacket silhouettes with prominent shearling lining, collars, and hemlines were spotted on the runway. You will definitely have your pick of a jacket shape that suits your body type and personal style. The one thing all these jacket styles have in common is a whole lot of shearling action, which does the double duty of keeping you warm while keeping you looking ahead of the fashion curve. Chokers are so hot this year and it’s pretty much ubiquitous. If you want to stand out from the crowd during the fall/winter season, opt out of the choker trend and adopt the rising neck scarf trend. Instead of donning a choker, a bandana or silk scarf tied around your neck ups your style points instantly by a thousand. 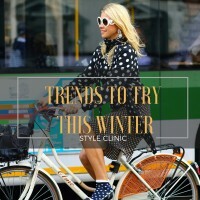 It’s very Parisian girl chic and looks so fashion forward when added to your layering game. thank you for this lovely post with so much good information- there are really many outfits to try. Velvet was and is my favorite material ! so I think there will be another dress this winter….